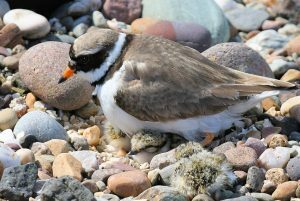 ISLAY: George Newall now home (with his photos) after 3 weeks over on Islay and had found a fem/1w Black Redstart at Claggain Bay on 13th May. A report of the male Ring-necked Duck again at Loch Finlaggan today (per BirdGuides). A drake Green-winged Teal again at the north hide RSPB Gruinart reserve today (James Butcher). MID-ARGYLL: 7 Swifts over Oban this morning (3 last evening) – also 6 singing Wood Warblers Gen Nant today (Mike Anderson). RINGED PLOVER with chicks – MSBO, Kintyre 19th May (Eddie Maguire). 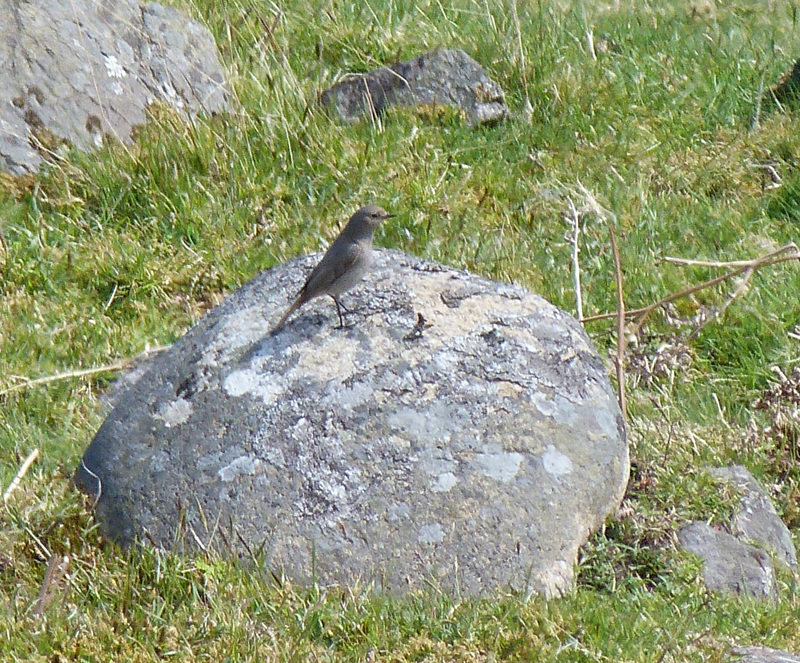 BLACK REDSTART – Claggain Bay, Islay 13th May (George Newall).